West Pokot leaders have raised concern over mass failure of students in the 2018 KCSE exams. The leaders are now demanding a report from the Ministry of Education over the exam failure in the County. 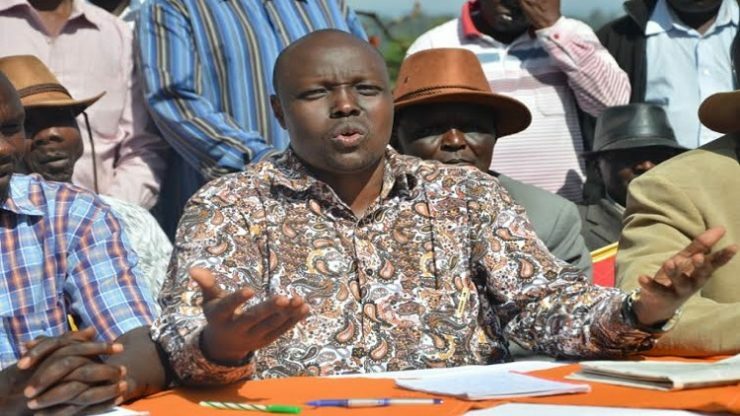 The leaders-Kapenguria MP Samuel Moroto, Pokot South MP David Pkossing and Sigor MP Peter Lochakapong-want a meeting to discuss why there was a mass failure in the exams convened. In the County, no student got an A plain grade, and more than half the KCSE candidates in the County failed and cannot proceed to universities or secure gainful employment. The leaders who spoke at Chemororoch Secondary School after donating a school bus bought by the Kapenguria CDF said the County has dropped from a mean grade of 7 to 3. “That was a terrible failure. Most of students failed, and it’s as sad story,” said Pkosing. The delocalization program was blamed as a factor that contributed to the mass failure in exams yet the County has been doing well for the past years. “The teachers who came don’t understand anything in the County. Some came slowly and late and this affected everything else,” said Pkosing. He appealed on the Education CS Amina Mohammed to reveal what the problem was, that led to the poor performance. The leaders said the Parliament and Senate Education committees should also chip in and investigate, and Kapenguria MP Samuel Moroto said a taskforce should be formed on the same. West Pokot Governor John Lonyangapuo urged the government to post more teachers to the County, saying it’s facing a 75% teachers shortage. “We have an acute teachers shortage.” He added that there is a need to open more schools in the County to improve education access.